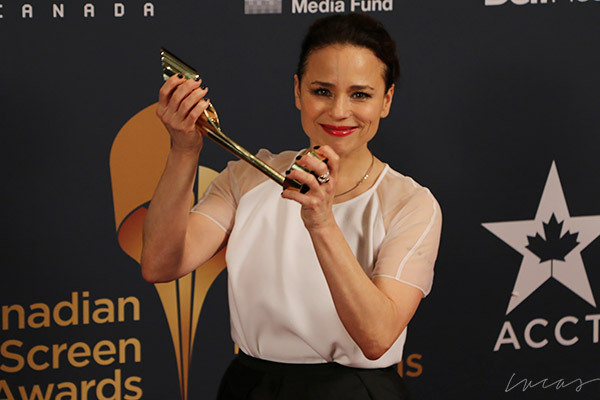 Suzanne Clément is pictured with her 2015 Canadian Screen Award for her Performance by an Actress in a Supportng Role in the feature, Mommy. Xavier Dolan’s drama swept the Canadian Screen Awards winning nine of the coveted trophies including Best Motion Picture and Best Director for Xavier Dolan. 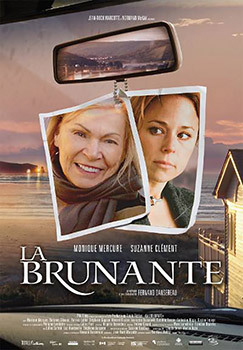 Clément has also won a Genie, 3 Gémeaux, 4 Jutra Awards, 2 VFCC and a Golden Bayard.